The VEER 18L is a camera bag with a unique packable design that’s aimed at travelers. 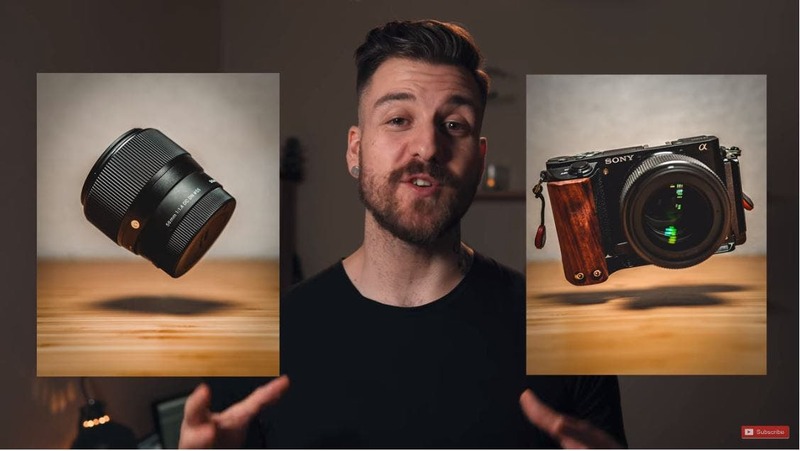 Kickstarter is a fantastic place for companies to showcase their products to prospective clients, and WANDRD have used the platform to successfully raise funding for their camera bags in the past. Today, WANDRD began their Kickstarter campaign for the WANDRD Veer 18L–a new, unique camera bag for the photographer packing light. 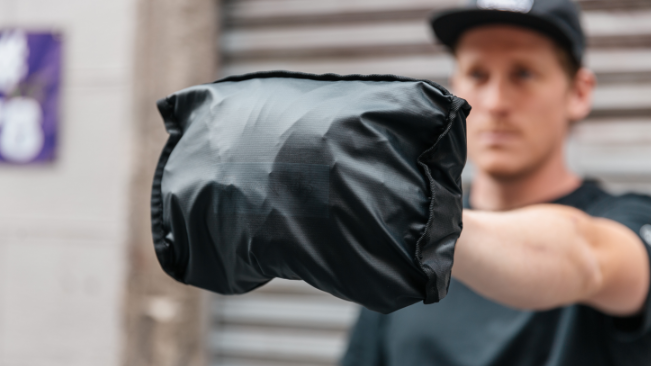 What makes this camera bag so unique is that it’s a packable bag that can fold into itself for easy storage and travel, it also has a few more tricks up its sleeves too. Find out more about this camera bag, and its unique features after the break. The WANDRD VEER 18L camera bag will aim to solve a few problems that many face when traveling. We often travel with large heavy bags, but when we get to our destinations we don’t want to carry those large bags with us everywhere we go. The VEER 18L is capable of folding up into itself so that it can be clipped to the side of a bigger bag, or placed inside it, and then when you arrive and want to go out to take pictures you can simply unpack the bag, and store your camera gear inside of it. It’s smaller size when unpacked makes it ideal for traveling and photo walking. The Veer 18L features two unique inflatables. 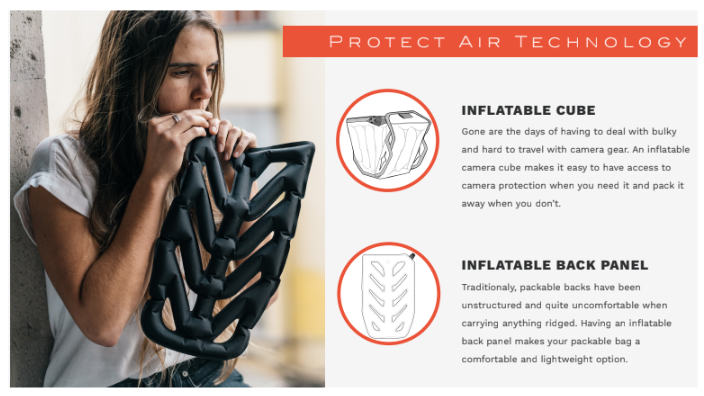 The back panel quickly inflates and give the bag some structure, rigidity, and comfort, while the inflatable camera cube keeps your camera secure, and protected. Both of the inflatables tuck into the bag quickly and easily. 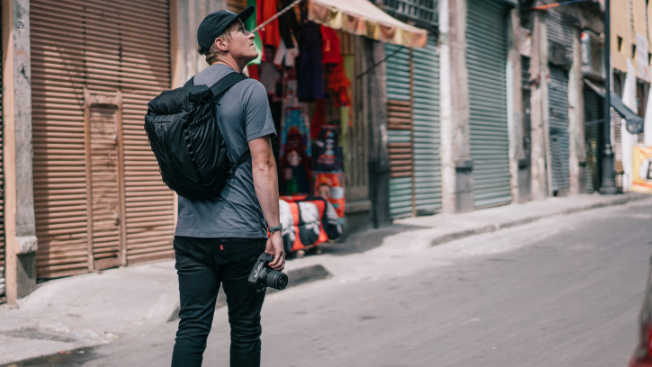 The VEER 18L features a large side access panel that lets you get to your camera without ever having to take the bag off of your shoulders, and the straps feature air mesh technology which should help keep you cool. There is also space for a 32oz water bottle on the side. The camera bag is made out of 100 denier which is water resistant, and there are water resistant zippers too. WANDRD are no doubt hoping that the VEER 18L will have the same sort of success that their PRVKE, and HEXAD bags had when they were on Kickstarter. While this won’t be the first packable camera bag to hit the market, the VEER 18L’s two inflatable components will really make it an interesting, unique option for photographers. 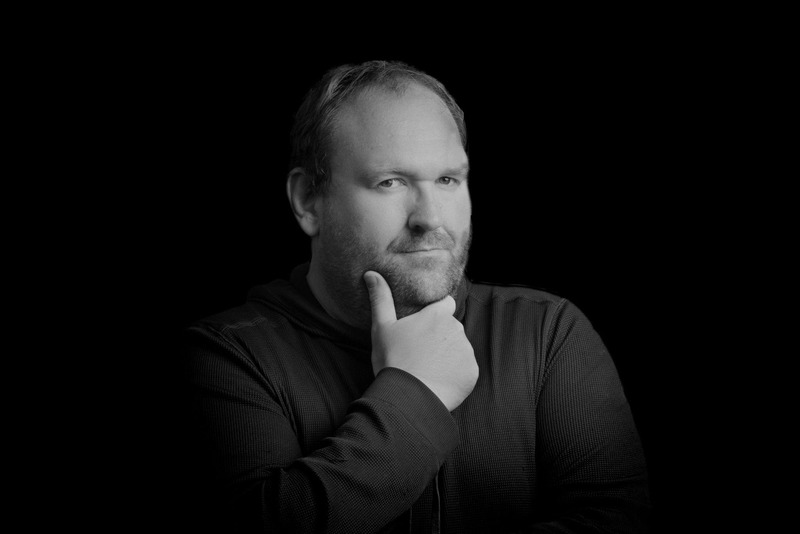 Check out WANDRD’s short teaser video below.